One way to improve your writing is to look at a good story and learn from it. Another way it to see what’s wrong with a bad story and think about how to fix it. But you seldom see writers looking at good stories to see how they might be improved. Yet, that’s exactly what we’re going to do here. I wrote the following article back when the original Jurassic Park movie first came out, just as we were finishing up work on our theory of narrative structure. We figured that anyone can point out the flaws in a bad story and see the shining gems in a good one. But if we we could show how to improve good stories, then writers might pay attention to our ideas about dramatics. And so, I penned a whole series of Creative Criticisms where I used our narrative concepts to do just that. Jurassic Park is wonderfully entertaining. The concepts are intriguing, the visuals stunning. Everything it does, it does well. Unfortunately, it doesn’t do enough. There are parts missing, little bits of story DNA that are needed to complete the chain, and these problems go right back to the book the movie is based on. The structure of a story, is not medium dependent. What works in one medium will work in all others. Storytelling, however, must vary significantly to take advantage of the strengths and avoid the weaknesses inherent in any format. Jurassic Park makes this storytelling translation very well, but the flawed dramatics were lifted intact, shackling the movie, just like the book, with a Pterodactyl hanging `round its neck. So how can we avoid being blinded by great storytelling to see beyond it into the underlying dramatics that are working against an every more powerful story? To find out, let’s lay a little groundwork about how the structure of stories works. I’ll keep it to a minimum because, after all, writers aren’t narrative theorists and most don’t want to be. First up, to the audience the message of the story is about an ethical or philosophic conflict such as greed vs. generosity that is at the heart of A Christmas Carol by Dickens. It is this message conflict the gives the story meaning beyond action, pathos, and good storytelling. To paraphrase Obi Wan Kenobi, it is the force that gives binds the story together. 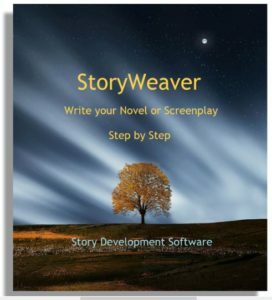 For that message to work, this conflict shows up both in the overall story in which everyone is involved and in the personal story the Main Character. So, in A Christmas Carol, the overall story is about Bob Cratchet’s family, and whether or not Tiny Tim will live. In the personal story, it is about Scrooge’s belief it is every man for himself, and that no one is obligated to help others – in fact, it is a bad idea. Because the message conflict is reflected both in the big picture and in the small picture, success or failure in a the attempt to achieve the goal is dependent on whether or not the Main Character is able to overcome his or her personal demons, often through a leap of faith just before the climax. So, to be dramatically strong a story must explore an the problem both objectively and subjectively, weigh one side of the conflict against the other, and then show the final result of choosing one side over the other. Jurassic Park attempts to do this but does not quite succeed because its exploration of the personal side of the problem is lacking. The issue at the heart of the story is order (control) vs. chaos. Hammond believes you can build a system that is safe, Ian Malcolm (the chaos expert) responds that “life will find a way” – in other words, you can’t achieve complete control. 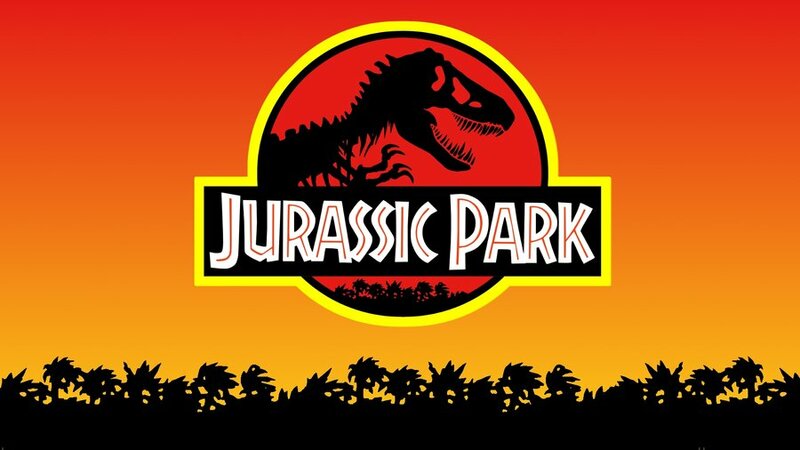 Things go wrong at Jurassic Park because unexpected interference with the system comes out of left field – chaos. This is well represented in the overall plot. At the other level, Dr. Grant is the Main Character of the story – the one who is supposed to grapple with the personal aspect of the message conflict, but though the groundwork is laid, it is not fully developed and never comes into play at the end as it should. As the film opens, the entire first scene with Grant at the archaeological dig illustrates his displeasure with chaos. All the elements are there: a disruptive boy, a randomly sensitive computer, a helicopter that comes out of nowhere and ruins the dig. All of these things clearly show Grant’s frustration and displeasure with Chaos, but they don’t directly show the counterpoint: if you are against chaos, you like things orderly – you strive for order. As a result, these events come off more as simple irritations that anyone might feel, rather than establishing Grant’s personal issue that he so prefers an orderly life that he seeks to prevent the forces of chaos from entering his realm. Alas, without any direct allusion to Order being his primary concern, Dr. Grant comes off simply as finding disruptions inconvenient, faulty equipment annoying, and kids as both. Yet just stating that Dr. Grant shares the message conflict with the overall story is obviously not enough. The relationship between his view of the problem and the overall story view of the problem is what explores the concept, makes the argument, and allows the Main Character to grow. Ultimately, it is the differential between the two that brings a Main Character to suspect the error of their ways and make a positive leap of faith and change. They see the problem outside themselves, then find it inside themselves. They change the inside, and the outside follows suit. What does this mean for Jurassic Park? In the movie as it is, Doctor Grant’s attitude toward John Hammond’s ability to control the dinosaurs is one of skepticism, not because he promotes order but because he is wary of chaos. Grant simply agrees with Ian Malcolm, the mathematician. This makes the same point from two characters. But Grant’s function should not be to sound a warning about Chaos just as Malcolm does, but to promote even more control to ensure Order. Only this point of view would be consistent with his feelings toward the children, and why he doesn’t want any of his own. The following scene rewrites the dialog of Grant, Hammond, and Malcolm to illustrate how the overall story conflict between Hammond and Malcolm regarding order and chaos could have easily been reflected at a personal left in Grant, who initially favors order above all things, but later (should have) come to embrace chaos and thereby changed. How can you be sure your creations won’t escape? No, I mean not enough fences. It’s been my experience that Dr. Malcom is right. You can’t count on things going the way you expect them. You need back-ups to your back-ups. Leave a soft spot and chaos will find it. Put three fences around each compound, each with a separate power source and then you can bring people in here. That’s not the point at all! Chaos will happen no matter how many fences you build. In fact, the more you try to control a situation, the greater the potential that chaos will bring the whole thing down. What would this mean for the middle of the story? Plenty. Once Grant and the children are lost in the open with the thunder lizards, he might learn gradually that one must allow chaos to reach an equilibrium with order. Several close encounters with the dinos might result in minor successes and failures determined by applying whether an orderly or chaotic approach is taken. This should have been Grant’s learning experience in order to reach a point of change at the climax. As it stands, Dr. Grant simply learns to care about the children. But what has that really changed in him at the core? What did he learn? And how does that relate to the message conflict in the overall story? Would it not have been more dramatically pleasing to have his experiences with the children teach him how chaos is not just a disruptive element, but sometimes an essential component of life? And would it not make sense for someone who has spent his whole life imagining the way dinosaurs lived to be surprised by the truth when he sees them in person? What a wonderful opportunity this was to show how the orderly interactions he had imagined for his beloved beasts are anything but orderly in the real world. So many opportunities to teach him the value of chaos, yet all we get is “They DO travel in herds… I was right!” Well, that line is a nice place to start, especially if you spend the rest of the story showing how wrong he was about everything else. Truly a good place to start growing from. Perhaps the most disappointing aspect of the personal story line is the manner in which they all escape in the end. Grant and the kids are sealed in the control room, but the raptors are right outside. The girl struggles to get the computer up so they can get the door locked. This of course, merely delays the Raptors until the helpless humans can escape into another Raptor attack. Then out of nowhere, T-Rex conveniently barges in, kills the Raptors and allows the humans to escape? Why? Why then? Was T-Rex just waiting in the wings for his cue? Let’s propose one possible ending that would have tied in chaos in the overall story with Dr. Grant’s personal issue of order in the Subjective story and set up the entire dramatic framework for his growth as a character in a leap of faith. Imagine that earlier in the story, when the power went down at the beginning, it only affected some of the compounds, rather than all. So though dinos are roaming in all sections of the park, they can’t get from one section to another. Near the end, Dr. Grant and the kids make it back to the control room, barely escaping the T-Rex who is trapped by one of the electrified section fences. In quick action, they climb over the fence on a tree knocked down by the Tyrannosaurus. The Raptors are at the door of the control room, the girl goes to the computer to lock the door. She locks it, then tells Grant she can bring up the rest of the fences. As she works, Grant sees a painting on the wall that shows two dinosaurs fighting. As he watches the girl work with the painting behind her and the raptors at the door, we realize he is thinking about how he and the kids were saved earlier because a dino attacked the one that was about to kill them. Grant looks back and forth and then makes the connection. “No!” he yells. “Take them down, take them all down!” The girl is incredulous and refuses but he insists and she cut the power on all of the fences, expecting the worst. Just as before, the Raptors break in, the humans escape onto the dino skeletons. NOW, when T-Rex comes in to save the day, it is solely because of Dr. Grant’s decision to cut the power to the fences allowing the T-Rex to get into this sector. Having learned his lesson about the benefits of chaos and the folly of order, he is a changed man. The author’s proof of this correct decision is their salvation courtesy of T-Rex. Grant and the kids make for the helicopter. Now, when Grant suddenly gets cuddly with the kids, we understand his feeling about having children has changed because of his changed mind regarding keeping order and shutting out chaos. As a result, this removes the obstacle that stood between Grant and his love interest and kept them from being together – the desire to have children. Grant saves the kids, gets the girl, and equilibrium is restored on the island. So, as you see, just a few small changes in a story, even a good one, can power boost its impact and make the whole thing resonate. Now our narrative theory has even more suggestions for Building a Better Dinosaur, but, leapin’ lizards, don’t you think this is enough for one Constructive Criticism? Now all the concepts in this article are drawn from our Dramatica Story Structure Software, based on our narrative theory. 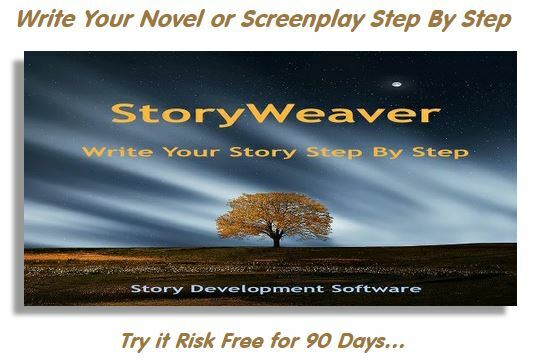 You can try it risk free for 90 days and see if you can improve your novel or screenplay as well. Just click here for details or to download the demo.